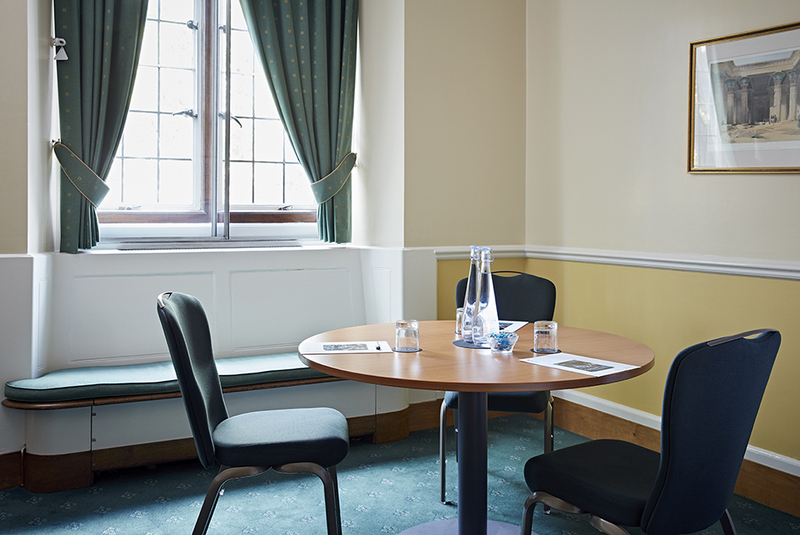 York Room is located on the first floor and has a beautiful view overlooking Dean`s Yard and Westminster Abbey. 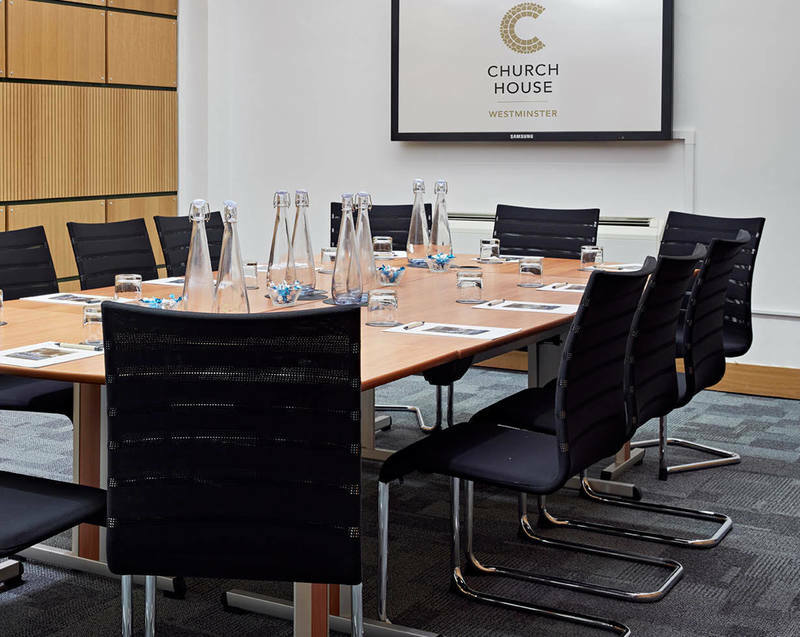 Used by the Archbishops of York us it as his office during General Synod, This meeting room is full of history and is well-suited for private meetings, one-to-one discussions and interviews. It can also be used as breakout space or an organiser's office for conferences and corporate events. York room has a boardroom capacity of 6. 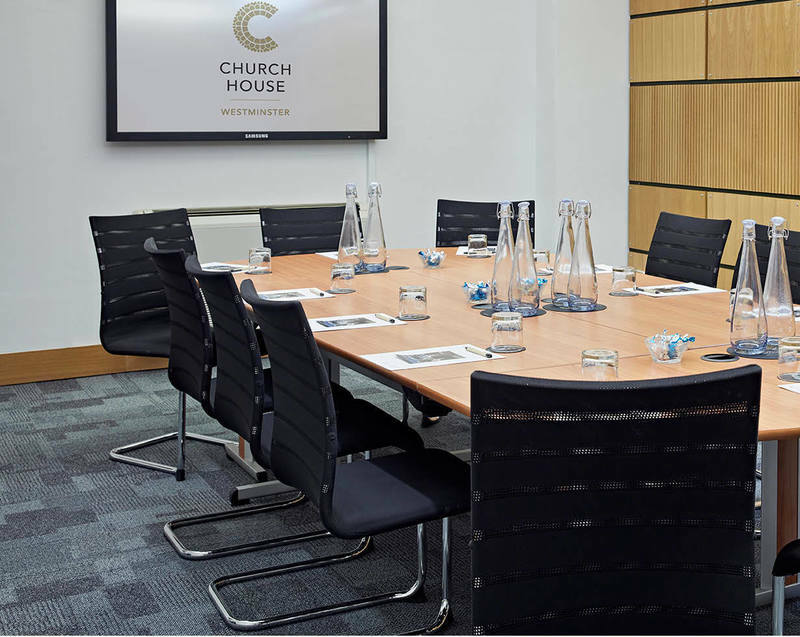 The room hire includes water, mints, pads and pens and wi-fi. All our rooms also have red phones which allow our delegates to contact us for any questions or queries on the day. Our talented chefs will cater delicious breakfasts, lunches and dinners for your meeting. Our in-house caterer, Apersand, is very flexible and are able to cater for dietaries and any other special requirements. 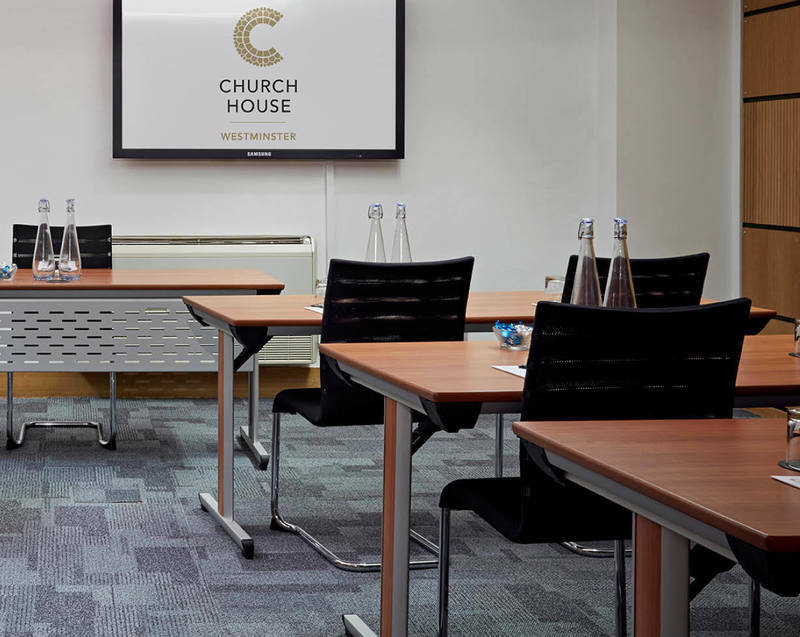 A similar small meeting room is the Jubilee Room that accommodates up to 20 delegates or the Canterbury Room that accommodates up to 6 delegates. 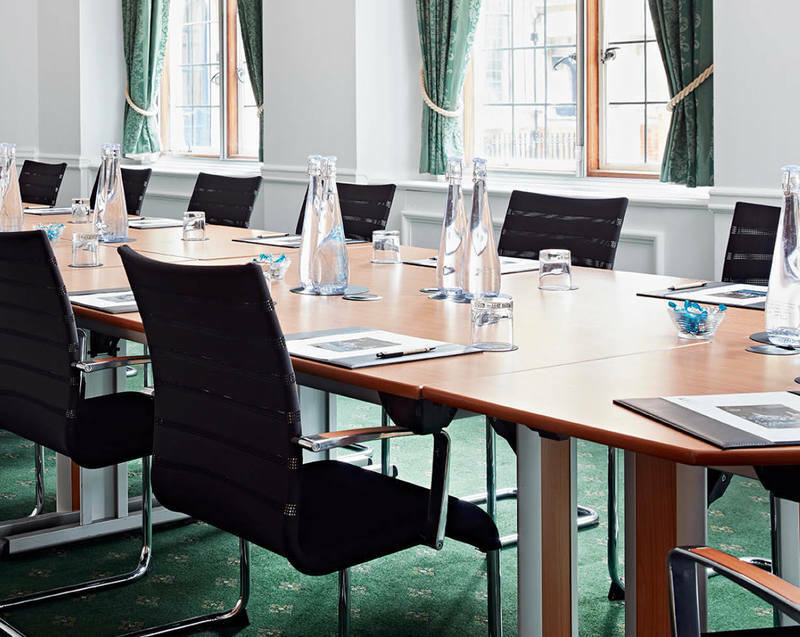 If you have any questions regarding our meeting rooms in Westminster, please call us on 020 7390 1590 or fill in our contact form.